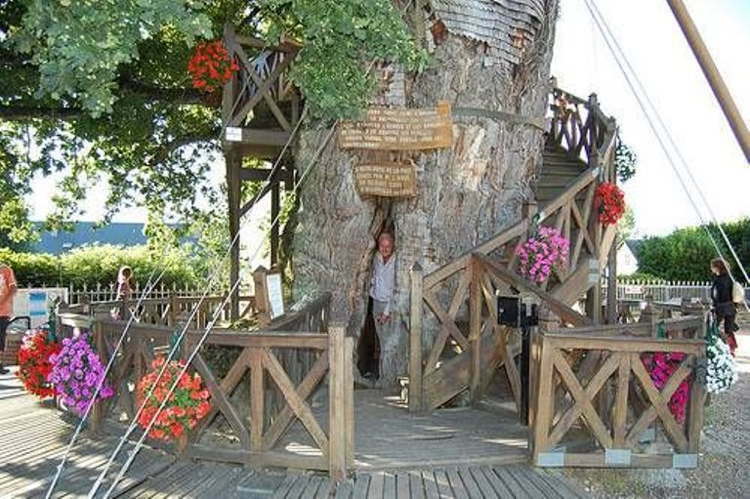 Located in the French farming village of Allouville-Bellefosse, this amazing oak tree is home to more than just woodland flora and fauna: its hollow, thousand-year-old trunk serves as the base for two small chapels accessible via spiral staircases that surround the tree. 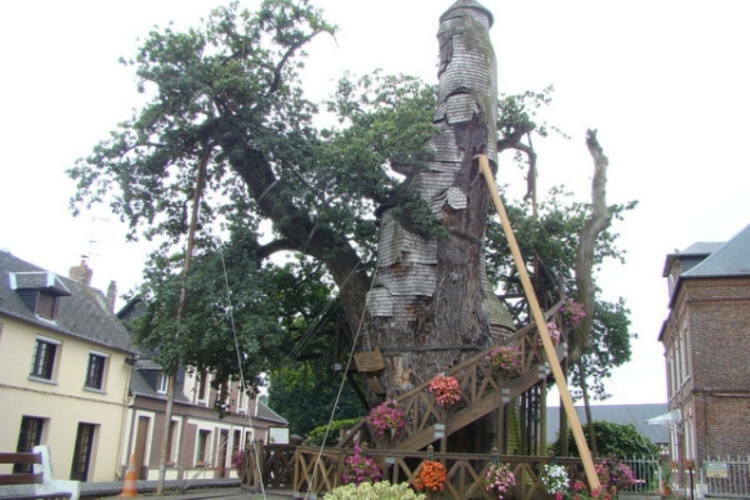 This oak tree is the oldest known tree in France and many locals speculate that it actually dates back to the Charlemagne’s reign in the eighth century. 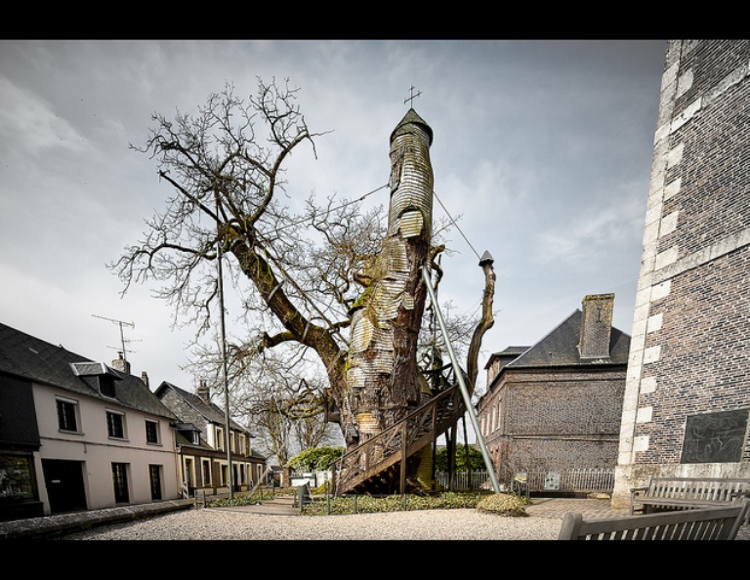 While scientists date the tree some 800 years, the tree is a timeless symbol of French strength as it has stood steadfast throughout the Hundred Years War, The Black Death, Reformation, the Revolution, both World Wars, and the Napoleonic era. 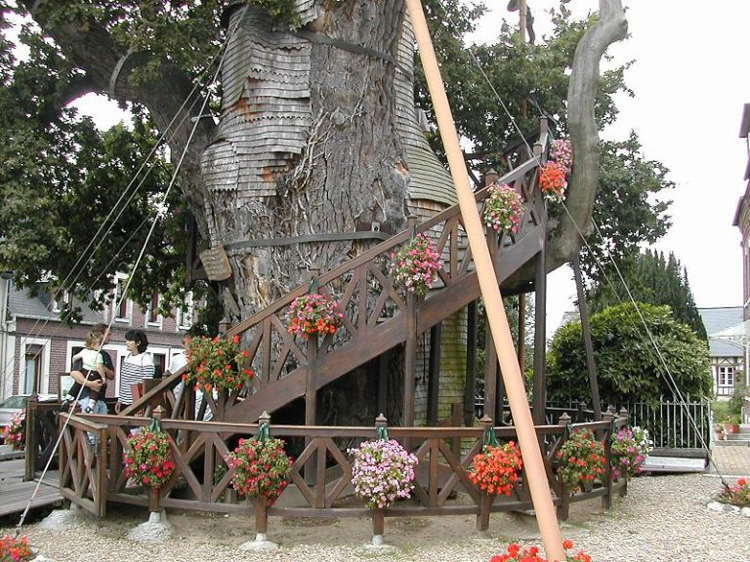 Despite its bevy of functions today, the oak tree wasn’t converted into a space for two chapels until the 1600s when it was struck by lightning. 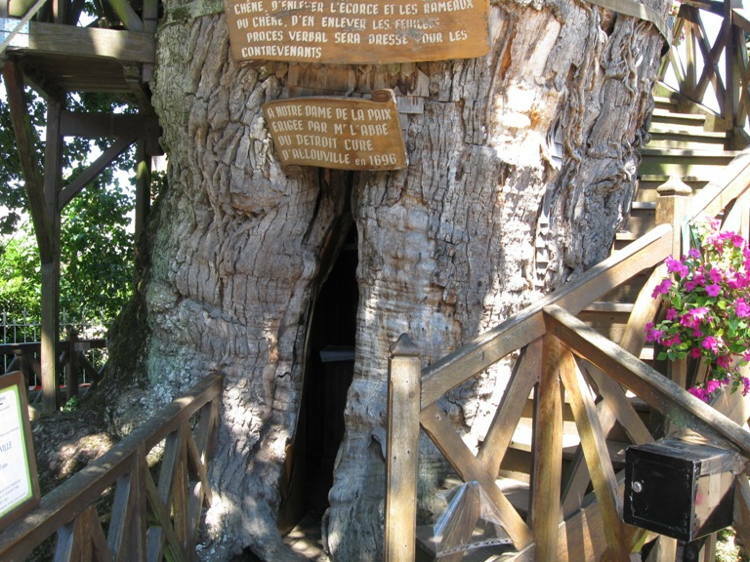 A true blessing in disguise, the lightning strike hollowed out the trunk and soon the charred tree drew the attention of Abbot Du Détroit and village priest Du Cerceau. 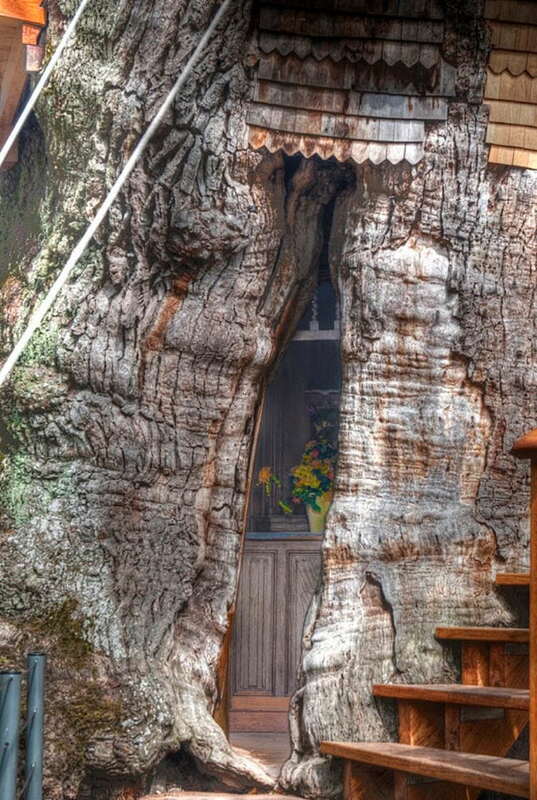 Soon, the clerics deemed it a miraculous tree and thus decided to build a shrine to the Virgin Mary in the hollow. The adjoining staircases came in later years. 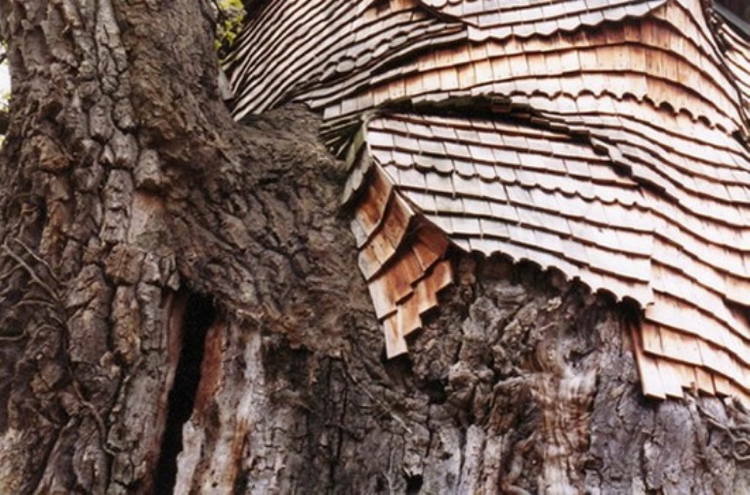 Despite being supported by poles and shedding its dead bark for shingles, the tree still stands today. Nevertheless, a congregation continues to gather twice a year for Mass and the tree is a popular pilgrimage for the Feast of the Assumption of the Virgin in August.